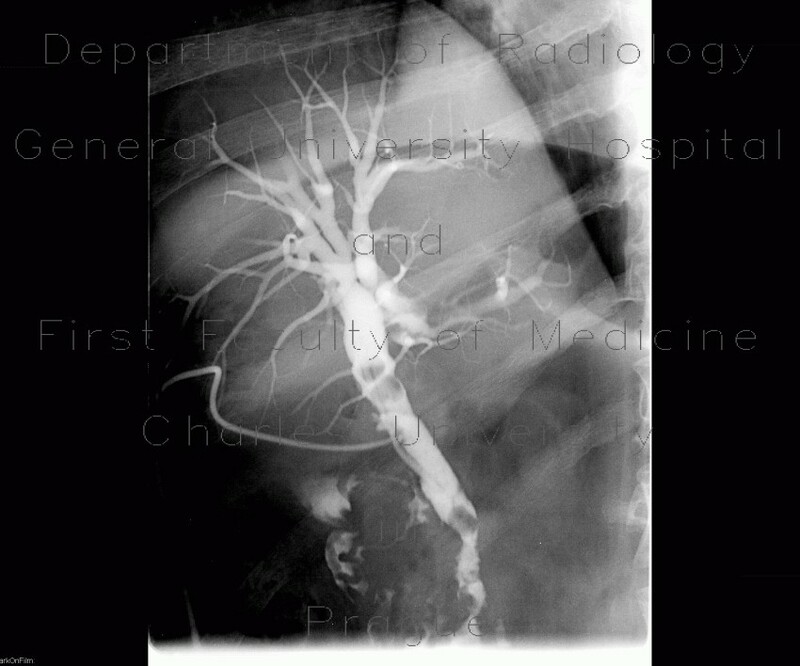 Patient after cholecystectomy. The T-drain is inserted through the cystic duct. The are several faceted lucencies within the lumen of the hepatic and biliary duct. Spontaneous flow of contrast into the duodenum is unimpaired.